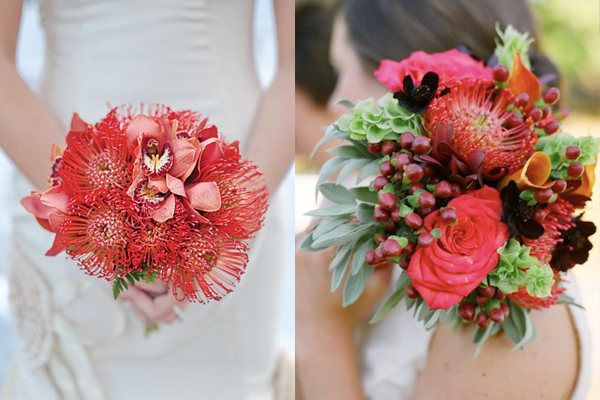 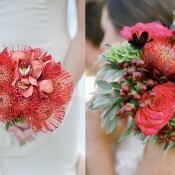 While looking through bouquets of blushing bride protea for our Friday Flowers roundup, there were so many gorgeous bouquets with pincushion protea that it didn’t feel right to not share those as well! 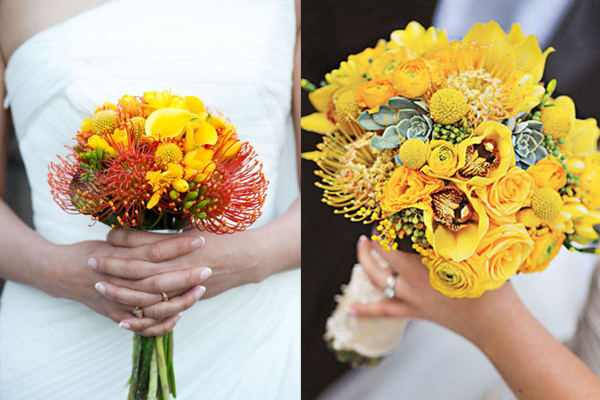 Pincushions look exactly like they sound: a little cushion stuck with a bunch of vibrantly colored pins. 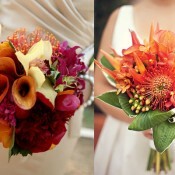 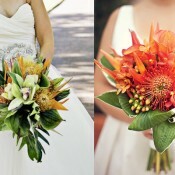 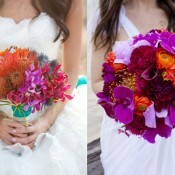 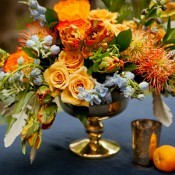 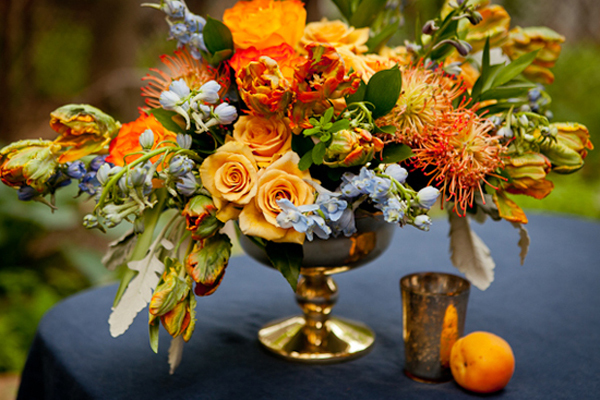 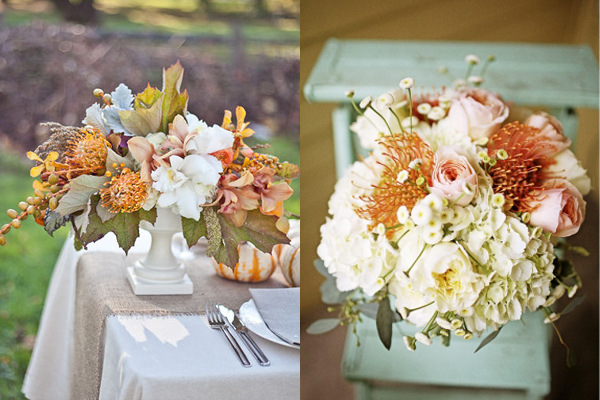 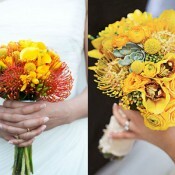 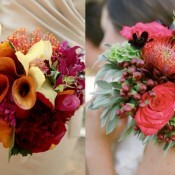 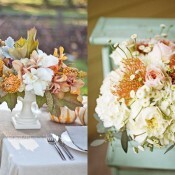 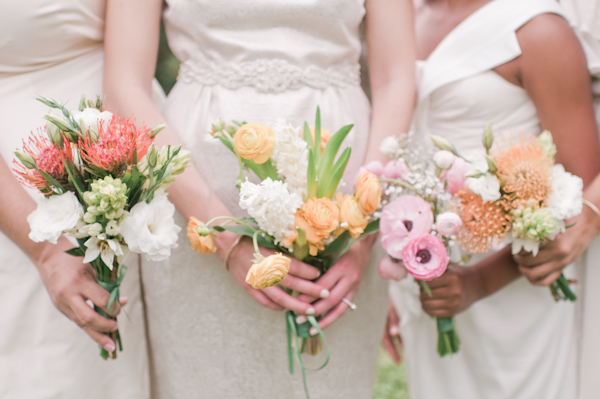 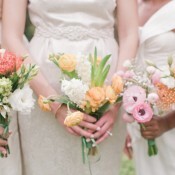 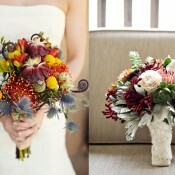 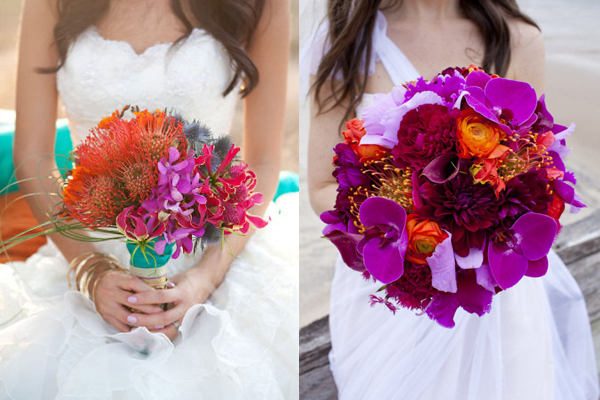 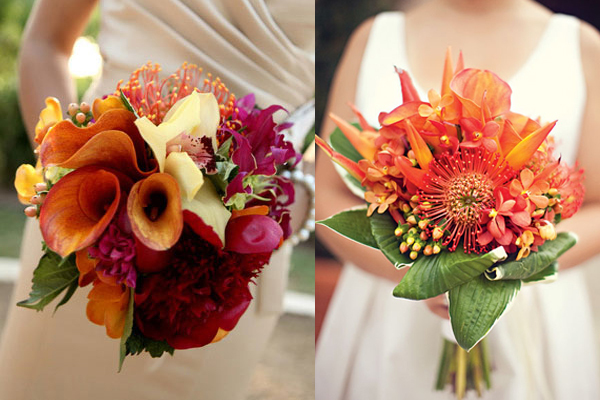 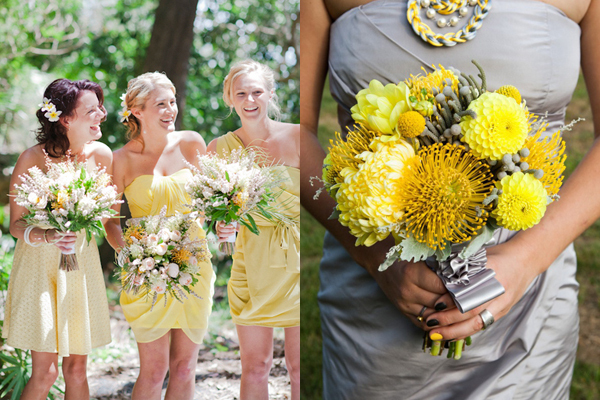 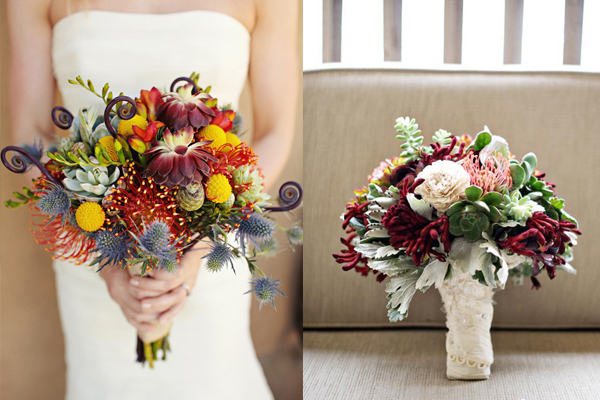 In yellow, orange or coral, they are all brightly colored and full of texture. 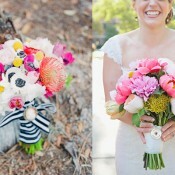 It’s a flower with quite a personality!